New Gardaí have been allocated to Blanchardstown Garda Station, which local TD and Minister for Health Leo Varadkar said is further evidence of this Government’s commitment to tackling crime locally and nationally. The announcement of five new Gardaí for Blanchardstown comes after the Government allocated 14 new Garda vehicles for the district. “I’m delighted that five new Gardaí are being assigned to Blanchardstown Garda Station. They will help the ongoing efforts to combat crime in the area. 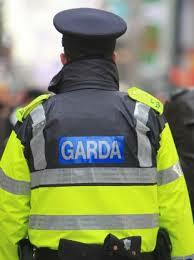 Already this year 14 new Garda vehicles have been assigned to the district in a concerted effort to boost resources. “Unlike the last Fianna Fáil/Independent government, the Fine Gael/Labour Government is committed to resourcing the Gardaí and fighting crime. We have re-opened the Garda training college in Templemore, which was closed by Fianna Fáil.